Got green waste? Let’s turn it into something useful. Plus: New grants, projects, and the new master plan for reversing climate change. APL is now expanding into project development in California––operating its own equipment for on-site power and heat generation, focusing initially on sites that can net meter with the utility grid and have green waste onsite they’re paying to dispose of. As we’ve mentioned previously, California is in the midst of a solid waste crisis, driven by the twin drivers of closing biomass plants and a forest health crisis that’s killed hundreds of millions of trees. We can help you lower your electricity bills and waste disposal costs at the same time. 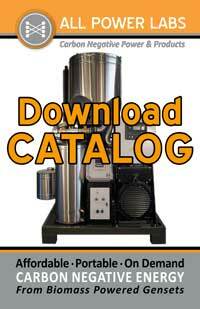 To contact us to discuss your project, email info@allpowerlabs.com or call toll-free +1 888-252-5324. The State of California has long been a leader on environmental issues, and has historically invested early in promising technologies. That’s certainly true with biomass-to-energy projects: in the last several months, APL has been awarded $3 million in competitive grants from the CEC, and is shortlisted for $3 million more. The first $1.5 million award is for Combined Heat and Power (CHP) projects utilizing the Power Pallet, and the second grant, also for $1.5 million, is for a higher capacity Powertainer with CHP and a dedicated biochar offtake. In both cases, APL was the highest-scoring applicant. APL also received a high passing score for a $3 million grant to create 2MW of Powertainer projects; that project is still working through the system, as the CEC got more winning projects than they currently have funding for. We’re cautiously optimistic those projects will move forward as well. We continue to install new projects regularly, all over the world. Here are two recent projects we wanted to highlight. The first, in Costa Rica, uses waste from coffee production to make energy to run their roasters and processing equipment in a remote community. 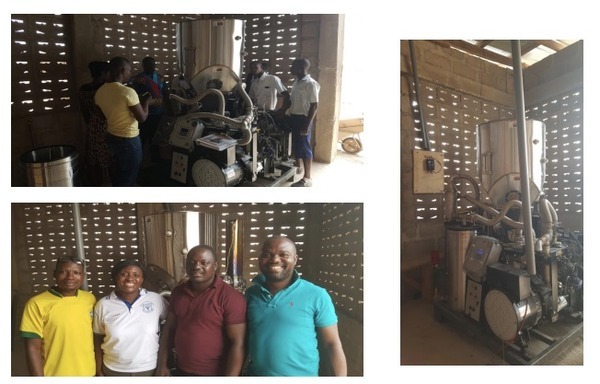 The second, in northern Ghana, powers a school using wood waste from a nearby mill. iCafe-talking coffee in Costa Rica. 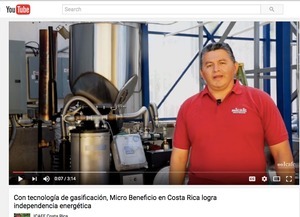 In this video ( narrated in spanish ) you can see how iCafe is able to provide the high-output energy they need to operate their processing operations even in their remote, mountainous location. The Power Pallet is uniquely positioned to serve in this use case: unlike other renewable energy sources, which are not on demand and do not have sufficiently high energy density (unless they are paired with hugely expensive battery banks), the Power Pallet can be used as needed and provides a high level of so-called “productive power” for energy-intensive agricultural operations. 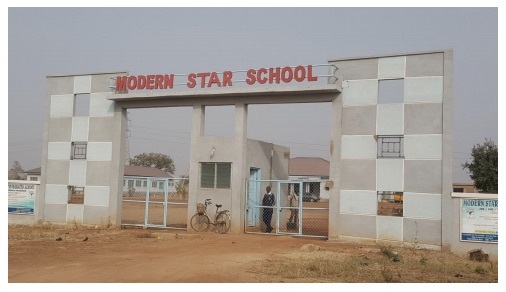 Modern Star, shining bright in Ghana In February, we installed a Power Pallet at the Modern Star school in northern Ghana. The project is designed to operate on locally-sourced wood waste from a nearby mill. Once the Power Pallet was installed, the wiring was connected and the unit supplied enough power to electrify all six buildings on campus. We’re happy to be doing our part to solve the challenges of energy access and climate change. Last week, Paul Hawken’s Project Drawdown released its long awaited, and deeply researched, guide to reversing global climate change. It is an impressive, incredibly ambitious work, and full of surprises. Case in point––the #1 thing we can do isn’t switch to wind or solar, it’s….better manage refrigeration. All of the solutions are scored and ranked according to impact and cost. Not surprising to anyone who has been following our work, supporting biomass energy ranks pretty high. And, when combined with other cross-cutting solutions like biochar production, waste-to-energy development, and regenerative agriculture, it’s easily in the top ten. Click the image below to learn more and order a copy.